For over 10 years, a group of readers has been meeting at the Stirling Smith Art Gallery and Museum under the guidance of Dickens expert Professor Grahame Smith to read the works of Charles Dickens. They have read every work by Dickens and have now moved on to other classics of English literature. As a special Christmas treat on at 12 noon on 6 December, Learning Officer David Smith and his brother Paul, who is a book binding specialist, will unpick a mystery associated with Dickens’ early career. Charles Dickens became famous at the age of 24 with his first block busting novel The Pickwick Papers. Some of his success was due to the illustrator Robert Seymour (1796-1836) who, following an argument with Dickens, killed himself. The issue of Dickens role and responsibility for this suicide has been hotly contested since. 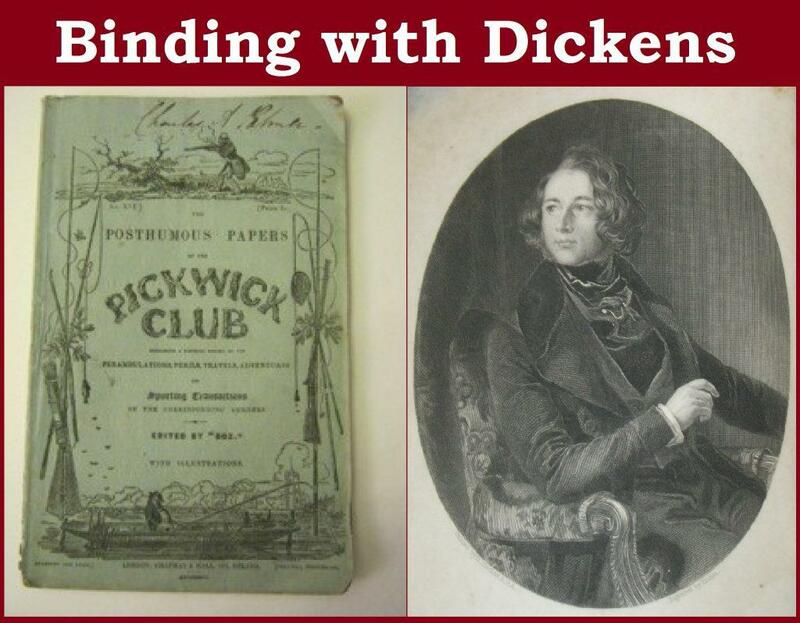 Pickwick was originally issued in serial form to be bound later by the bookbinder. The original physical structure of the first edition of Pickwick provides clues to this tragedy. Paul and David Smith will review the evidence on Seymour’s suicide. The real story behind this is not what has been widely assumed. This is a one off special event. Tickets are limited and booking is advised. Book your place here.